Couple of preview images have been released by Pop Culture Shock Collectibles for their upcoming pre-orders for their 1/4 Mortal Kombat statue lines. First up, we have Cyrax from the 1/4 Klassic line! I got the impression that Jerry wasn't too interested in doing the cyborgs initially but a poll towards the end of 2015 put the Cyborgs at the top of the want list by forumers at StatueForum.com. 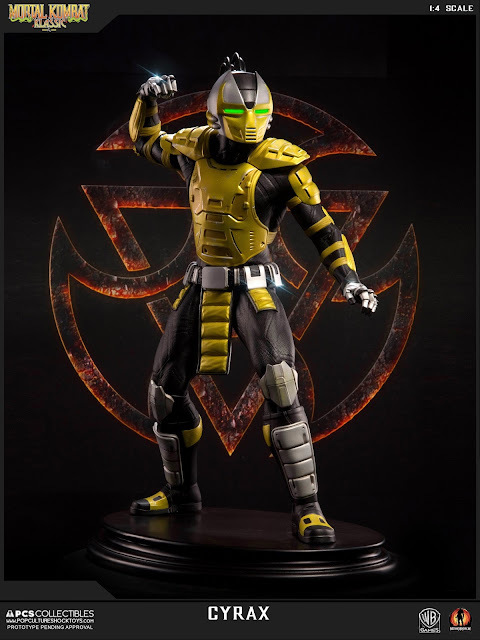 Looks like it definitely played a part and we now have the 1/4 Klassic Cyrax, which will be going up for pre-order on June 13. We should be seeing more info on the EX versions in the coming weeks and we might see a Sektor or Cyborg Smoke as a variant. PCS have done it before with the Klassic lines, with Jade as the EX to Mileena and Ninja Smoke as a surprise reveal shortly after Sub-Zero went up for PO. 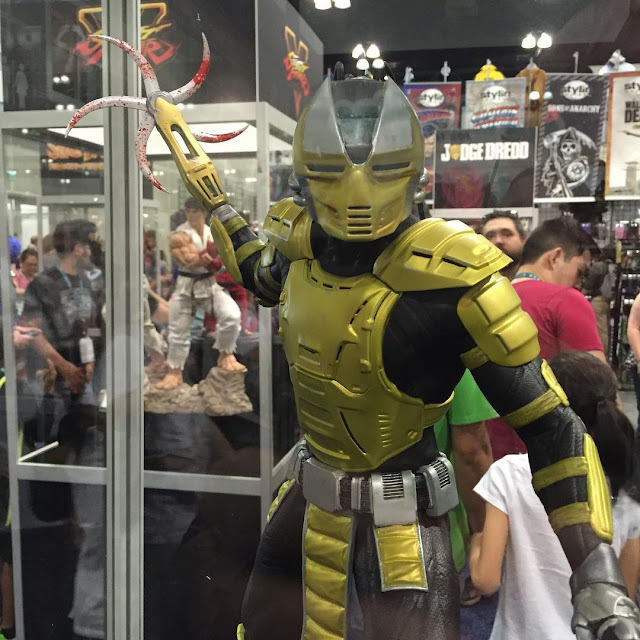 Also looking forward to see what switch-out options we will be getting with Cyrax.. We did actually see the buzz-saw hand at Wondercon earlier this year..
and for the 1/4 Mortal Kombat X line.. we have Scorpion! 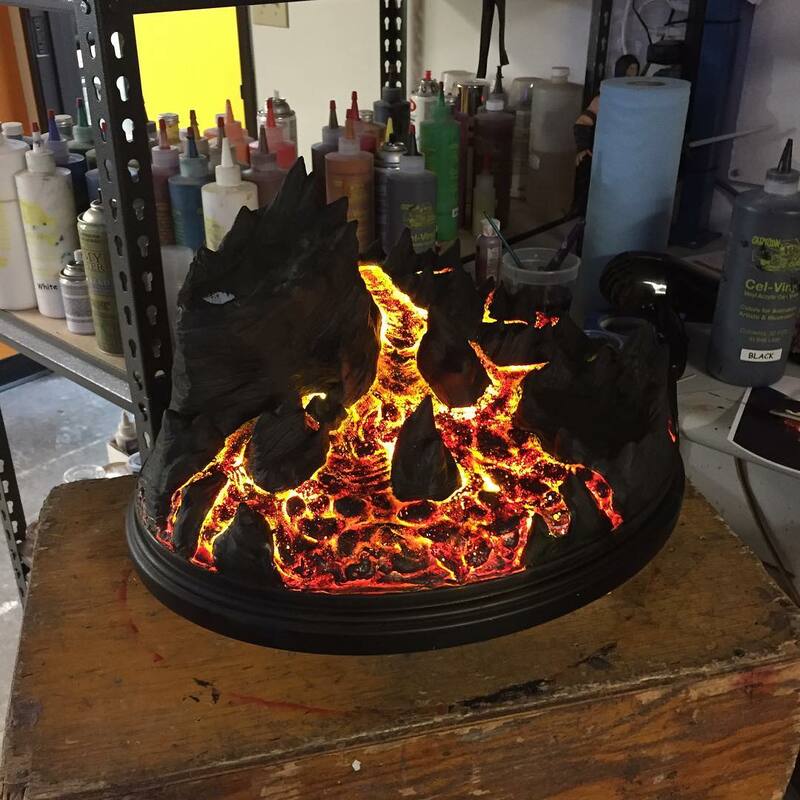 Edit: Just as I post this up.. PCS reveals the base for this statue. 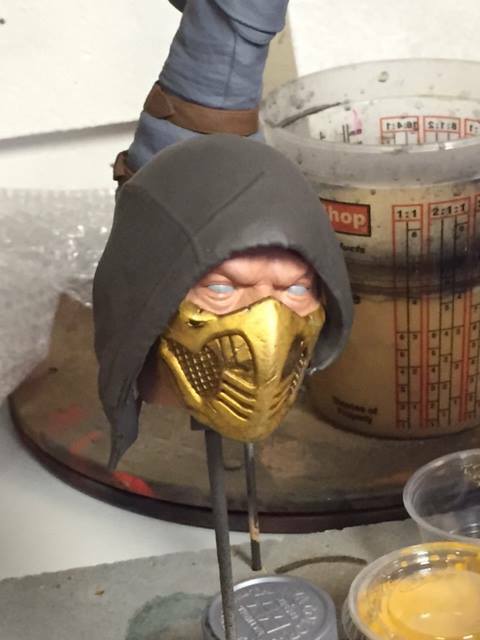 Plenty of Scorpion statues done by PCS Collectibles already but him being my favourite character, I would say.. Keep them coming! The MKX line have also seen the different fighting variations as the EX versions, so it will be interesting to see what they come up with. The Klassics are definitely more popular among collectors but I love the 'Modern' ones just as much, for their more detailed and unique designs. 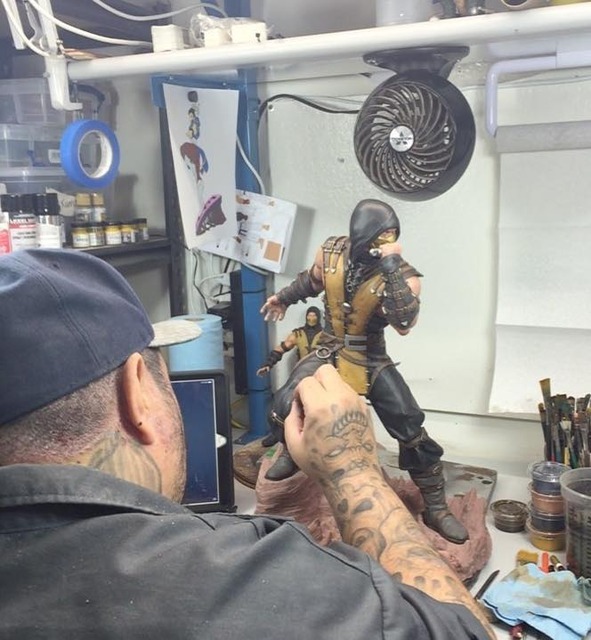 Jerry managed to answer a few questions on the StatueForum's Q&A thread..
Can't say how happy I am to see that there's still a bunch of MKX statues in the works..
Sub-Zero and D'vorah have also been teased as WIPs but I'm not sure who the other 3 are. Shinnok, Ermac, Reptile, Kung Lao, Takashi & Tremor are just some on my want list, so 3 is definitely not enough! Still no word on the next 1/3 or Life-Sized Bust for Mortal Kombat unfortunately.. I should be getting my Liu Kang statue sometime next week with Raiden & Kotal Kahn shortly after so watch this space for pics!